We all know that a pet should never be an impulse purchase. But, baby animals are adorable, and children can plead convincingly, ‘honest Mommy, I’ll love it forever and I’ll take care of it all by myself.’ The next thing you know, you’re the proud owner of a small, terribly cute, very innocuous looking turtle. You may have just purchased more than you bargained for. Turtles, specifically the red eared slider, are a very popular pet for children. The red eared slider is native to the area along the Mississippi River through to the Gulf of Mexico, but the breed is now farmed for worldwide sale in the pet trade. They can be purchased everywhere, from pet stores to flea markets and are often marketed as a cute little turtle in a cup. More often than not, the purchaser is given little to no information on the turtle, or how to take care of it. It is a common myth that housing a turtle in a small enclosure will stop it from growing. It’s not true. Before long, your tiny turtle will grow to the size of a dinner plate. Red eared sliders require a lot of space and love to swim. Measure the turtle’s shell from head to tail. For every inch of shell, a turtle should have 10 gallons (1 centimetre : 15 litres) of water to swim in. They also require space to bask, so they can to dry their shell and obtain necessary UV light. Turtles use UV light to metabolise calcium, along with other vitamins and minerals, and to produce vitamin D. Lack of vitamin D will result in limited shell growth, metabolic bone disease and, ultimately, early death. Male red eared sliders grow to be 7-9 inches and females can grow up to 12 inches. Some females can become too large to be kept in an indoor enclosure, prompting the construction of an outdoor enclosure. This usually involves a children’s wading pool and some wire screening. The screening needs to be woven tightly enough to prevent predators from getting to the turtle but loosely enough to allow UV light to pass through. Once you reconcile yourself with the amount of real estate the turtle will occupy in your home, you’ll need to wrap your head around its probable lifespan. Will you still be a fan of the turtle in 20, 30, even 40 years? In captivity, turtles have been known to live as long as 50 years. All too often, an ill-advised purchase results in the release of a domestic turtle into the wild, where they can crowd and cause problems for native varieties. 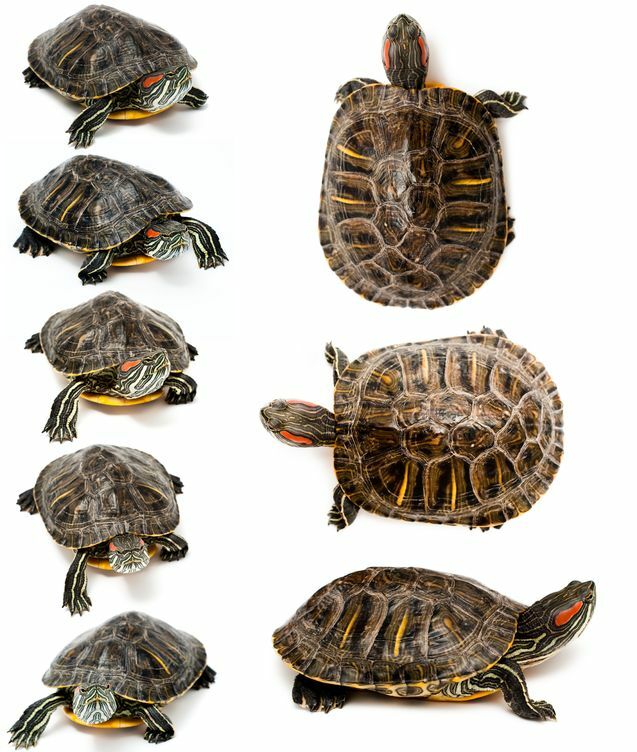 An additional caveat for parents: turtles often harbour parasites and can carry and transmit salmonella. It is important for children to wash their hands after handling turtles, after cleaning the enclosure and after handling turtle related accessories. Knowing all of this, you may still decide that a turtle is a good fit for your family. If you’ve done your research, you know what you’re getting into, and you’re prepared to be a responsible turtle owner, go for it. Turtles can be fun and interesting pets. They will learn to recognise the family and can become friendly companion animals.